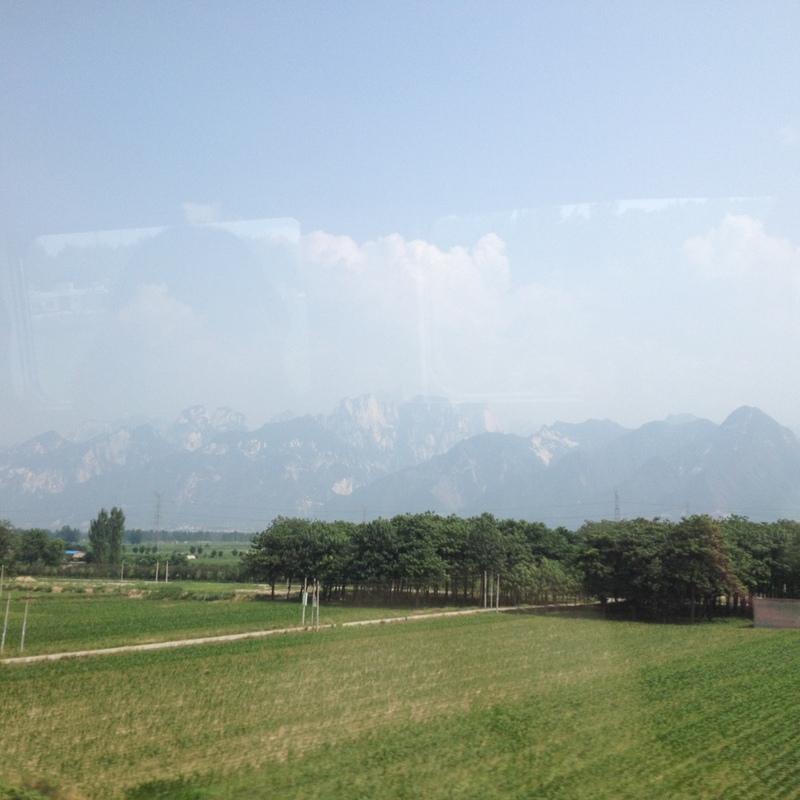 Our train goes from Beijing to Xi’an. It’s roughly five hours, but it provides a chance to see the transition in geography. That’s why we’re not flying – above the land transforms quickly, but by train you can see the geography unfold at a more gradual pace. The forests give way to scrub brush, lush farmland gives way to drier climes and drier heats. The farmland reminds me of home a little bit – seeing corn is a welcome sight. The patches of farmland are smaller than in the Midwest, and I see more people working by hand. What is not like home is the construction. There is nonstop construction the entire way from Beijing to Xi’an. Specifically, housing complexes. “It just goes on and on,” Dad comments at one point. What I feel words don’t quite describe is the sheer strangeness of these projects. There aren’t many big cities as we travel along, yet in the distance of the countryside there are fifteen to twenty apartment complexes just sitting there. And ten minutes later there are another ten or fifteen, and so on and so on. China has a massive population compared to the rest of the world, but they don’t need this. 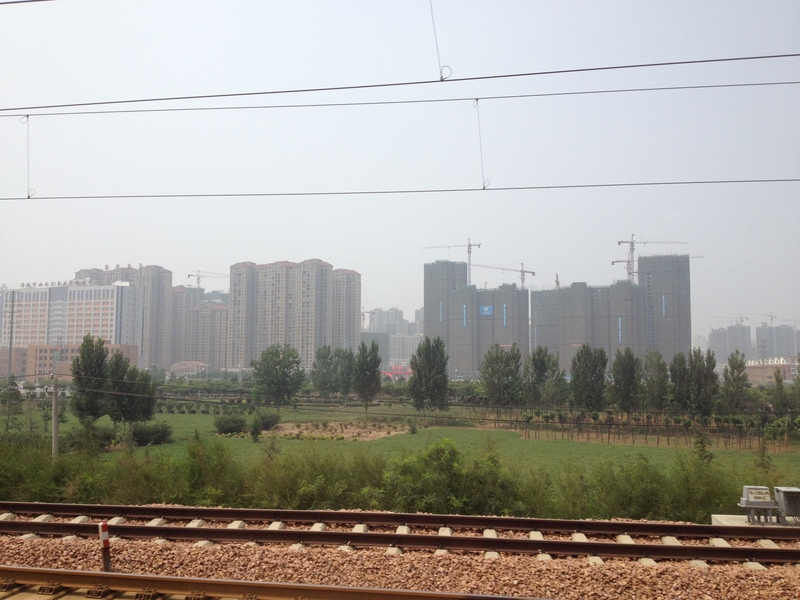 I saw similar things in Chengdu – massive construction projects. What I remember is how empty they were. At least a dozen giant structures devoid of people, and that’s just in one portion of the city. Bill told me that people would move in eventually, that the rooms were spoken for. That sounds well and good, but they’re still building them. Empty buildings unclaimed, unused, unpopulated. And now, on the way to Xi’an, I see more of them. The International Relations scholar in me is concerned on an economical level. It’s clear that the construction is fueling China’s economy, but no one is using the construction. So if no one moves in, how do the companies make a profit and/or pay off the costs of construction? And if the government is funding all this, then it is borrowing against nothing, building just to build, and eventually this will collapse around them. Modern ghost towns, and the populated ones too, fly by on the high speed rail. We arrive in Xi’an at sunset. The heat is strong and unrelenting. It almost reminds me of my brief times in the Middle East, in Jordan and Egypt. Heat which sits on your shoulders and settles in each of your skin cells. The new parts of the city are empty – massive highways devoid of vehicles, and dozens of empty apartment complexes. I would come to see that most people live in another part of the city, however as a first impression it all seemed like a creepy lie. I expected to see tumbleweeds and vultures circling ahead. In Xi’an we will see the terra cotta warriors, and other wonders of this former capital city. Ok, I’m going to take a moment to give a snobby, probably inappropriate whiny moment. Forgive me for this, as I know that I have plenty of privileges. Here goes – for the amount of money I spend on the tour in total, I expected a first class train ticket. Instead, we got second class. Smaller seats, more seats, and less pleasant climate control. Having travelled from Shanghai to Hangzhou by first class, I have to advocate for spending more for the upgrade. It is nicer, the seats are more comfortable. 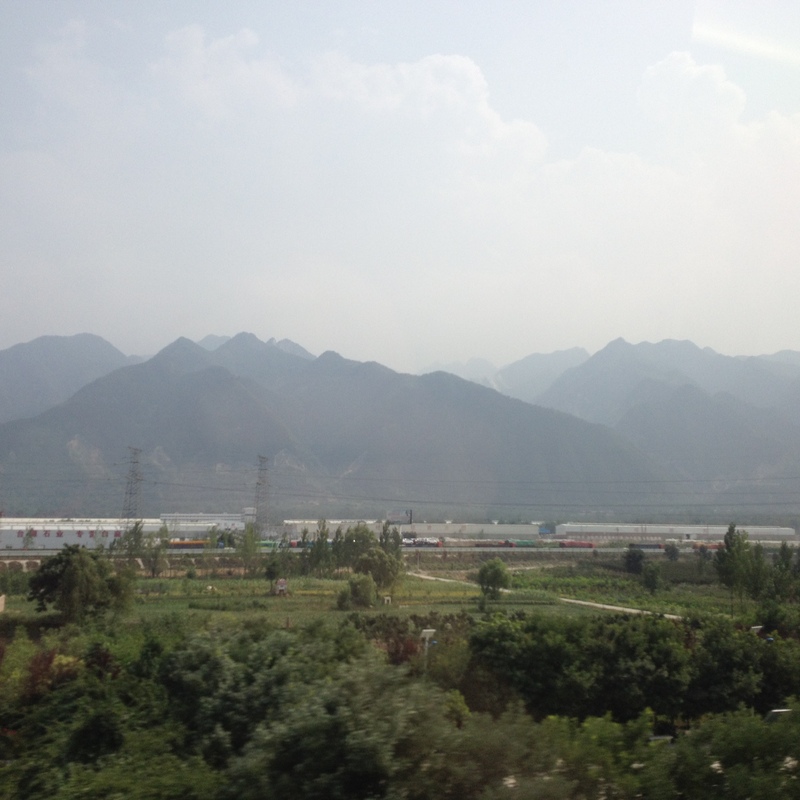 This Post was posted in Observations, Travel and tagged China housing bubble, China tourism, China Travel, Construction, Fraud, ghost towns, High speed rail, Sixty Minutes, Tourism, train travel, trains, VICE, Xi'an. Bookmark the permalink.